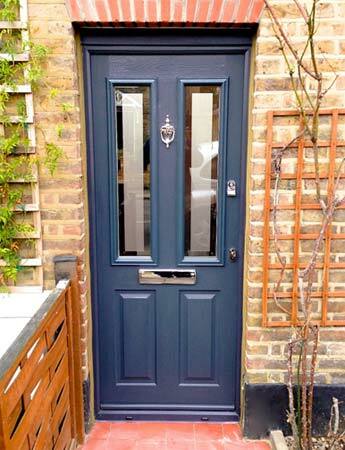 Learn what composite doors are and understand their advantages and disadvantages over the other types of doors that are available. Understand the different parts of a door so that you can describe and choose your perfect composite door. Understand what is involved in fitting or hanging a composite door, what different types and styles of external composite doors are available and also what security features they have. Composite (meaning made up of various parts especially of a synthetic building material) doors can be made from Aluminium, uPVC or Fibreglass. 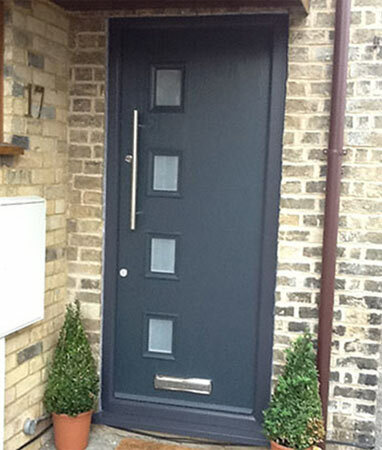 The most common, and attractive of these types of door are those made mainly of fibreglass. Fibreglass is a very strong material also known as GRP or Glass Reinforced Plastic where plastic is reinforced by very strong strands, or fibres, of glass. The result is an extremely strong door with several advantages over other types of door. 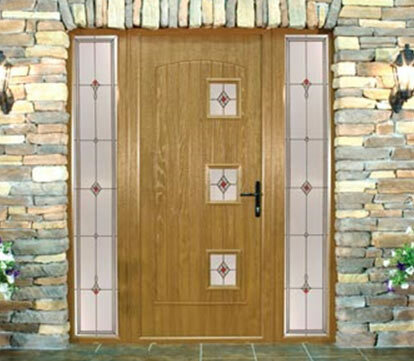 A composite door will be made of a range of materials, typically including wood, PVC, foam insulation and GRP. By making a door with a variety of different materials, it gives the door the benefits of those materials often without any disadvantages they may have. 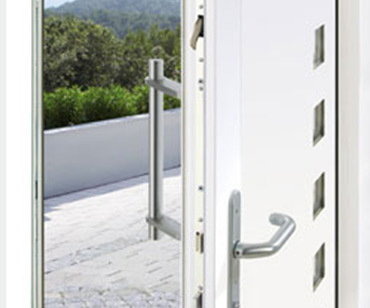 They can be particularly strong and durable which makes them ideal for external doors. Composite doors very secure. The strength of this type of door is created by the different materials used in its construction. There is one other security benefit that is derived from the way that composite doors are constructed and this is that the construction allows the addition of more advance and sophisticated locking systems. Fitting a composite door is very similar to fitting a normal door, except that it is generally even easier because the door and frame are made to fit, and many firms can make bespoke sizes to suit your home and any sized frames you may have. 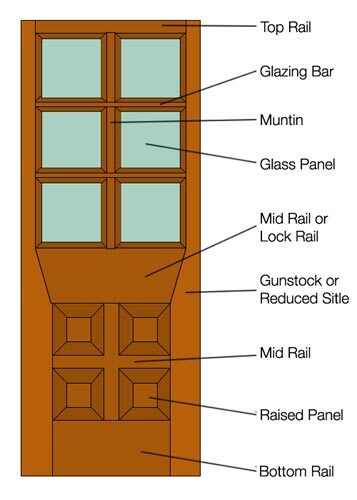 For more information about how to hang doors, have a look at our project on door hanging. When it comes to dressing your door it is possible to do this in the same way as you would with a wooden external door, but we recommend that you try and order your door with the letterbox, peep holes and other features that you would like. There can be complications if the surface of the door is not sealed properly as water might get in and affect or swell the internal material of the door. Some companies will even let you design your own door so that you can be sure that it will fit in with your own individual styling and taste requirements. Should I Choose A Traditional Wooden Door And Frame Or A Composite Door? Can I Fit A Door Knocker To A Composite Door? Can A Composite Door Be A Fire Door?